This newish bivvy is at the site of an older demolished hut. 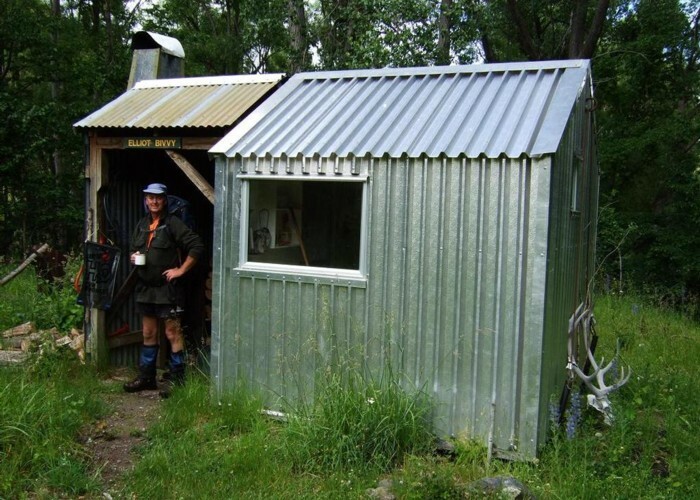 It is on the East - West route in Molesworth Recreation Reserve between Seymour and Lake McRae huts. Elliott Bivvy is somewhat unusual in that there is an open fireplace cw. chimney & wood storage area in the porch area attached to the bivvy. The bivvy is back from Elliott Stream a bit amongst patches of willows, elms and some very large poplars. Elliott Bivvy Dec 2013 • By glennj. Licence: C.
Added 21 December 2013 by glennjglennj. 1 revision 21 December 2013 by glennjglennj.